A healthy cash flow is vital to any business, so naturally, businesses spend a lot of time tracking their order-to-cash cycle, that all-important process by which you deliver your goods and services and then get paid for them. Still, the cycle is complex, and payments are influenced by everything from the promises your salesperson makes at the time of the order, to the timing of your shipments, to discounts applied to invoices. Throughout all of these complex interactions, businesses must keep one factor top of mind: credit risk management. During the order-to-cash cycle, how do you steer clear of financial roadblocks throughout the process to minimize risks to your cash flow? Good risk management starts with managing your order process up front. Businesses must not only know what salespeople are selling, but what discounts they are offering potential customers, and what concessions they are making to solidify a sale. It’s equally important to know your customers’ financial status before an order is placed. Is your potential customer on good financial footing? Do they have a strong record of paying their invoices? Do they pay on time? A routine credit report should be at the start of any order process. Stay informed throughout the order-to-cash cycle. From the time the order is placed through its fulfillment, order management is a dynamic process that requires continual monitoring. Is your procurement department ahead of the curve and ready for incoming orders? Is your manufacturing plant ready for both big and small orders? Is your shipping network optimized? Likewise, your credit management job isn’t over after you’ve seen an initial credit report. Credit risk management requires ongoing monitoring of your credit portfolio. Even customers who start out financially healthy can hit bumps in the road. MSCCM can assist with portfolio management that taps into advanced data resources to alert you to changes in your customers’ accounts. You will get early warning of potential risks such as late payments and bankruptcy filings. You will also be able to see trends that show your customers growing and thriving. This visibility gives you the opportunity to see how you might do more business with a healthy customer. Turn the invoice into cash. Just as you have a commitment to fulfilling your customers’ orders in full and on time, they also have a commitment to pay you — in full and on time. The most important part of your order-to-cash process is ongoing communication. Start by providing clear payment terms up front. 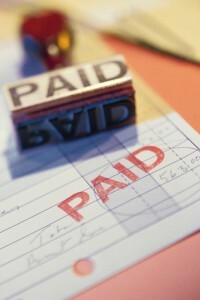 Invoice promptly and send automated reminders when invoices are coming close to their due dates. Then, remember that even when communication is clear, mistakes happen and invoices can get overlooked. Don’t let those missed dates slide! When your customer has been receiving regular communications from you, a reminder of a past due invoice will not be a surprise — and may be the only step you need to take to get the payment in the door. However, when a payment is more than a few weeks late, it’s time to engage in a proactive collections process. With the help of a professional commercial credit management partner that understands the complexity of the supply chain, you can initiate a collections process that will prevent serious disruption to your cash flow. Managing the order-to-cash cycle can be a complex endeavor, but having an optimized process for tracking the details is essential to the health of your company. Fortunately, with the right tools, organizations can access useful data about their customers’ creditworthiness and make informed decisions to keep the order processes moving — while minimizing cash flow risks. Prompt follow-up is essential AS SOON as a payment date is missed, but the first touch doesn’t have to be heavy handed. You can start with a friendly reminder that payment is due. Download this sample to use today! This entry was posted on Thursday, September 17th, 2015 at 12:02 pm	and is filed under Blog Posts, Risk Management. You can follow any responses to this entry through the RSS 2.0 feed. Both comments and pings are currently closed.